Located just metres from Lahaina's famous Front Street, Aina Nalu Lahaina by Outrigger offers stylish Maui accommodation featuring hotel rooms and luxury condominiums with self-catering facilities. The resort has a number of onsite facilities and is also surrounded by a range of shopping, dining and entertainment. 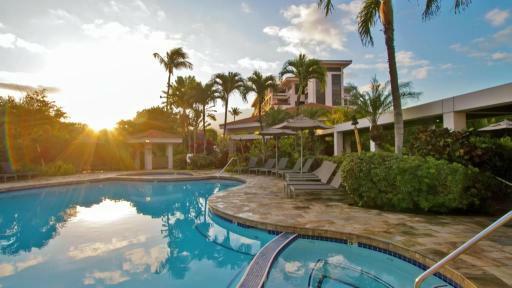 Set on the beautiful beachfront of Ka'anapali Beach, Aston Kaanapali Shores offers 4 star self-contained accommodation close to a range of local activities and attractions. The resort also enjoys a fantastic range of onsite facilities including restaurants, a kids club, pools, jet spas and more. 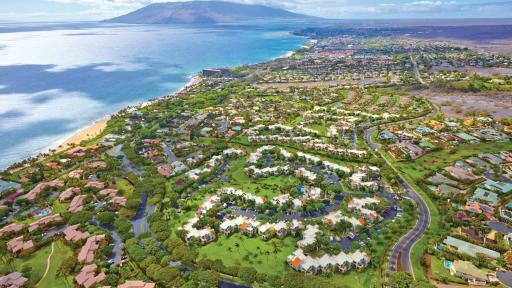 Aston Maui Kaanapali Villas is approximately 45 minutes from Kahului Airport and approximately 10 minutes from Kapalua West Maui Airport. The property has a number of rooms and villas to choose from, some with self catering facilities for those guests wanting to dine in. Enjoy the onsite restaurant as well as a numerous restaurant closeby. Activities are endless with plenty of shopping, golf, water sports, massage and kids programs available at the property or not far away. 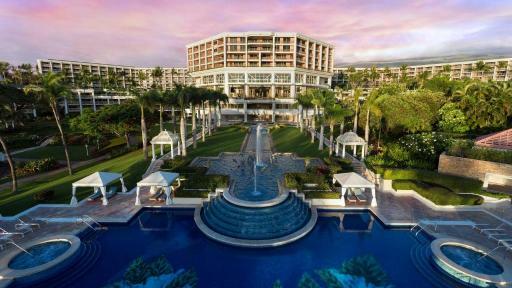 Surrounded by 40 acres of tropical gardens on the Wailea Beachfront, Grand Wailea, A Waldorf Astoria Resort offers guest rooms and suites spread across 5 wings. The resort enjoys marble bathrooms and an excellent range of facilities including Canyon Activity Pool with waterslides and rapids, bars and restaurants, a day spa and more. 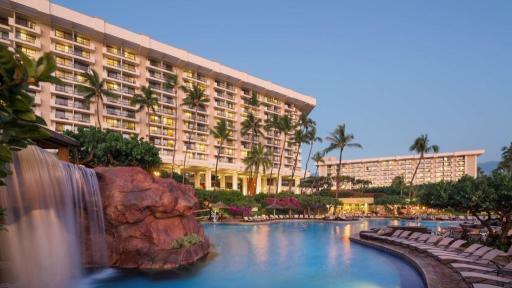 Offering stylish, modern accommodation, Hyatt Regency Maui Resort and Spa features guest rooms with beautiful views of the Pacific Ocean, Ka'anapali Beach, mountains and nearby golf courses. 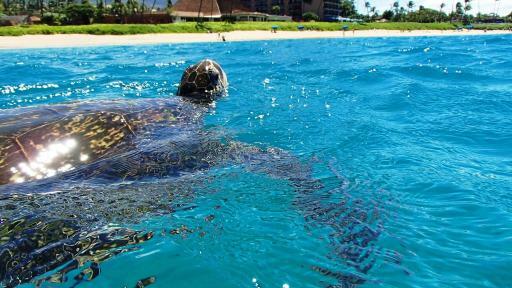 The resort is also home to an impressive array of onsite facilities including six free-form swimming pools with waterslides, children's pool, day spa, wildlife tours and one the best restaurants on Maui. 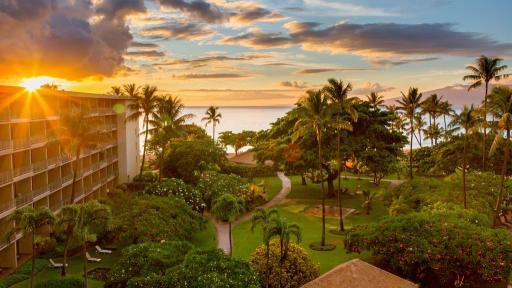 Offering an authentic cultural experience with all of the modern conveniences, Ka'anapali Beach Hotel is set amid acres of tropical gardens and swaying palms on the K'anapali Beachfront. The resort enjoys a unique range of facilities including a whale-shaped swimming pool and Aloha Passport kids program. 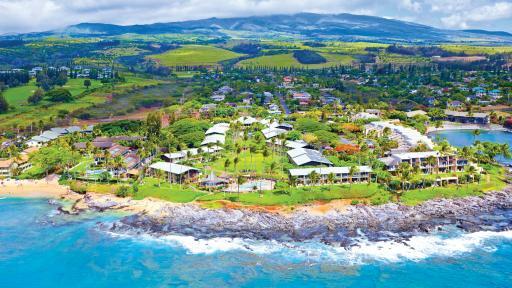 Set on relaxing Maui Island, Kapalua Villas Maui offers luxurious villa accommodation close to a number of local shopping, dining, entertainment and attractions. The resort is also home to a world class range of facilities and enjoys access to one of the best golf courses in Hawaii nearby. 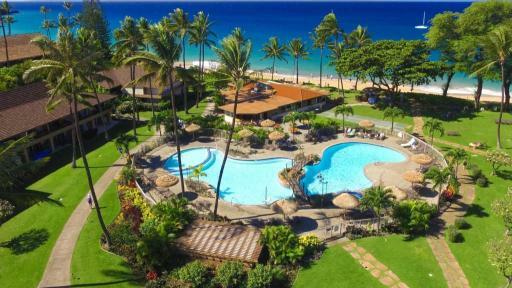 Located directly opposite a 13 km stretch of Maui's most beautiful beaches, Maui Coast Hotel is also conveniently situated close to a number of shopping, dining and entertainment options. Offering a great range of onsite facilities, the resort also runs complimentary shuttles to the surrounding tourist areas. 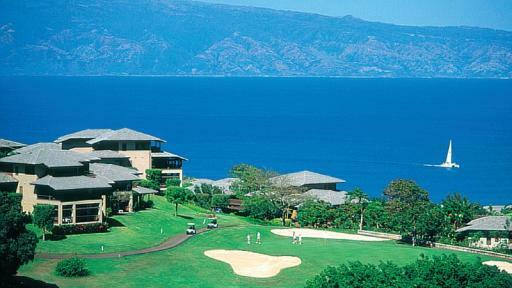 A golfer's dream, Maui Eldorado Kaanapali by Outrigger enjoys a picturesque location on the fairways of Ka'anapali Beach Resort. Close to a range of attractions as well as nearby dining and Whaler's Village shopping, the resort enjoys a deluxe range of onsite facilities including exclusive cabanas and sundeck. 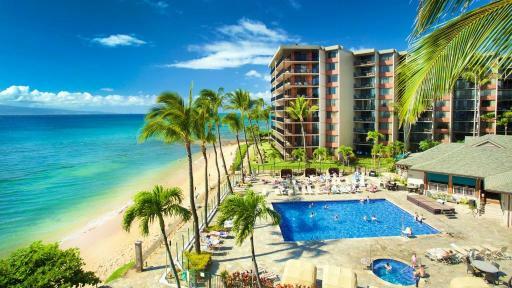 Set on the oceanfront of Napili Bay, Napili Shores Maui by Outrigger offers studio and 1 bedroom apartment style accommodation in a low-rise resort complex. Home to an impressive range of onsite facilities, the resort is also popular for spotting humpback whales as the pass through from November to April. Conveniently located within walking distance of the beach, Palms at Wailea Maui by Outrigger offers spacious self-catering villa accommodation complete with full kitchen facilities. Enjoying views of the gardens, mountains and ocean, the resort is popular with golf enthusiasts with 3 courses located nearby. 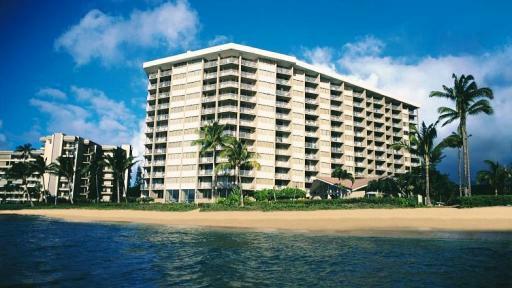 Set directly on Kahana Beach, Royal Kahana Maui by Outrigger is just minutes from Kapalua West Maui Airport and features self-catering accommodation with kitchen facilities. Offering a wide range of onsite leisure facilities, the resort is popular with couples, honeymooners and families alike. 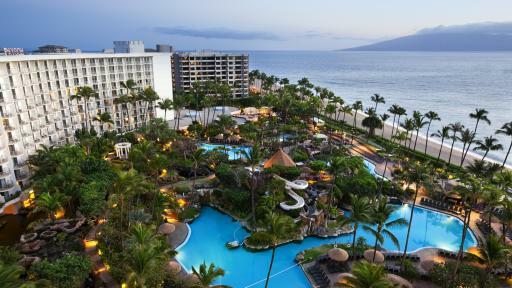 Positioned on Ka'anapali's oceanfront surrounded by 23 acres of tropical gardens, Sheraton Maui Resort & Spa offers guest rooms spread across six 6-storey buildings. Complete with private balconies and views of the gardens, mountains and ocean, the resort is close to the town centre. 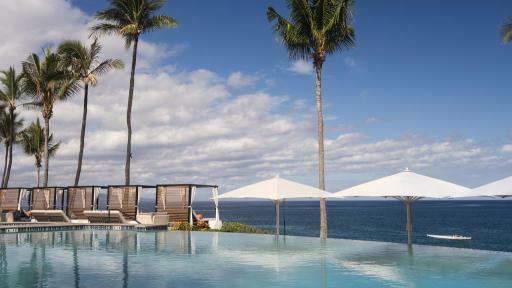 Situated on the soft sand of Wailea, The Fairmont Kea Lani, Maui features stylish accommodation in Maui's southwest. Offering an authentic cultural experience, the resort enjoys a fabulous range of onsite facilities including a day spa, kids club, three swimming pools and a number of bars and restaurants. 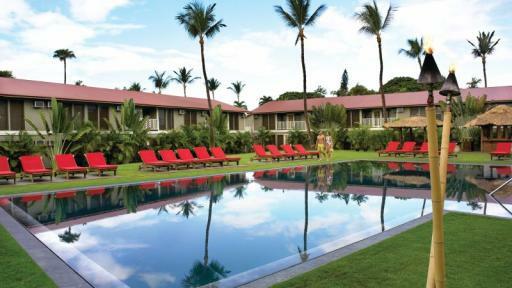 Located on one of the best beaches in the world, The Royal Lahaina Resort is set on the shores of Ka'anapali Beach and offers luxurious guest rooms, suites and cottage accommodation. The luxury doesn't stop there with the resort also enjoying a deluxe range of facilities including tennis courts and a Jacuzzi. 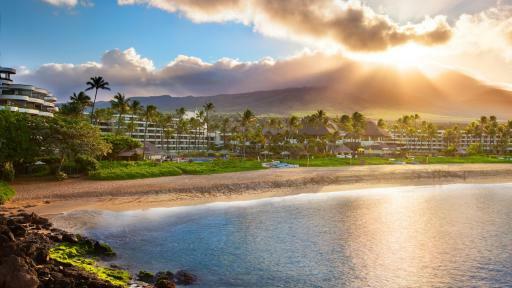 Located opposite Hawaii's only oceanfront shopping centre, The Westin Maui Resort and Spa offers a fantastic choice of accommodation with garden, mountain or ocean views. The resort also enjoys access to an outstanding range of facilities including an aquatic playground, bars and restaurants and more. 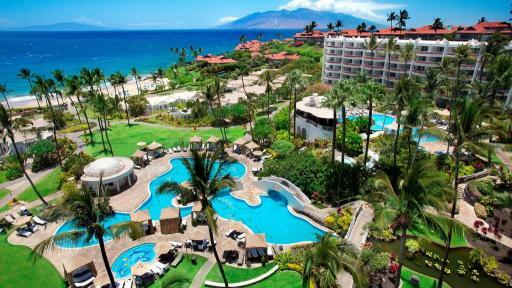 Set between the stunning Wailea and Ulua beaches, Wailea Beach Resort - Marriott, Maui offers oceanfront accommodation spread over 22 acres. Home to the indulgent Mandara Spa, the resort also enjoys a lavish range of facilities including an adult's only serenity pool and four waterslides!